Every patent practitioner wants to effectively represent his or her client’s interests. Every patent examiner wants to effectively represent the public’s interests. Unfortunately, these goals are not always met. This is particularly true in the newer and more controversial fields of patentable subject matter, such as business methods. There is a relatively new source of information, however, that can help both the patent practitioner and patent examiner make substantial improvements in the speed and efficiency of patent examination. This resource is the Patent Application Information and Retrieval system (PAIR). A new PAIR-based metric, the ratio of allowances to rejections, can be tabulated and analyzed quickly to reveal where significant inefficiencies exist in the patent examination process and suggest how fundamental improvements can be made. The ratio of allowances to rejections is the total number of allowances for a given portfolio of patent applications divided by the total number of rejections for the same portfolio. This data can be tabulated by looking up the PAIR files for each individual application in the portfolio and examining the transaction history of the application. The transaction history lists all of the rejections and allowances along with the dates of each. Advisory actions, decisions of pre-appeal brief conferences to proceed to appeal, examiner’s answers to appeal briefs and BPAI decisions to affirm an examiner are also counted as “rejections”. Restriction requirements and other miscellaneous correspondence are not counted. All of the rejections in the portfolio are counted, including those for applications that have been abandoned or are still pending. Each one of these rejections could have been an allowance presuming that the applicant was making a genuine effort to advance prosecution. Patent applications as a whole over the past 10 years have had an average allowance to rejection ratio of about 0.3. We arrived at this ratio by generating a list of 300 randomly selected application serial numbers in the 10/, 11/, and 12/ series, and individually reviewing the transaction histories for each serial number. An allowance to rejection ratio of 0.3 corresponds to about one allowance for every three rejections. First office actions have a somewhat lower allowance ratio than the average. This is consistent with the common knowledge that applicants will take a more aggressive position with the claims that they file relative to the amended claims they present after a rejection. The allowance to rejection ratio for second and higher rejections remains relatively constant. This has the somewhat disturbing implication that practitioners and examiners are not getting any better at understanding each other as prosecution progresses. If practitioners and examiners were learning from each rejection – response interchange, then the allowance ratio would increase for each succeeding office action. Figure 1 illustrates that allowance to rejection ratios are very different for different technologies. These ratios were generated by randomly selecting samples of published applications within a particular class or class/subclass. The file wrappers of the applications were then reviewed in PAIR. The samples covered about 10 years of filings. Traditional fields of patentable technology, such as electrical connectors, have high allowance to rejection ratios. Newer fields, such as insurance and finance have very low allowance to rejection ratios. Allowance to rejection ratios translate directly to prosecution costs. Electrical Connectors have an allowance ratio of 0.45. This corresponds to about 2 rejections per allowance. If each response to a rejection costs about $2,000 in legal fees, then the prosecution cost per patent in the field of electrical connectors is about $4,000. At the other extreme, insurance and finance applications have an allowance to rejection ratio of only 0.05. This corresponds to about 20 rejections per allowance. The prosecution costs for these applications are about $40,000 per issued patent. The allowance to rejection ratio in insurance & finance is very sensitive to the law firm that is handling a given portfolio of applications. Figure 2 shows the allowance ratios for three different law firms, each preparing and prosecuting applications over a five to seven year period for the same major financial corporation. This corporation has several hundred applications pending and, until recently, each law firm handled a comparable share. Prosecution costs for these firms range from $16,000 per issued patent (Law Firm A) to $120,000 per issued patent (Law Firm C). While reviewing the file wrappers in PAIR, we discovered that the client recently transferred all of the cases filed by Law Firms B and C to Law Firm A. Figure 2, therefore, only shows the allowance ratios for each law firm prior to the transfer. After the transfer, the allowance ratio for the cases that Law Firm A took over then increased to the same level as the cases originally prepared and filed by Law firm A.
It’s not clear why there is such a large difference in examination efficiency in business methods between equally experienced and equally competent practitioners in different law firms. It’s also not clear why there is such a large difference in examination efficiency between equally experienced and equally competent examiners in different technology centers. Identification of the root causes, however, could lead to substantially reduced backlog and lower prosecution costs. 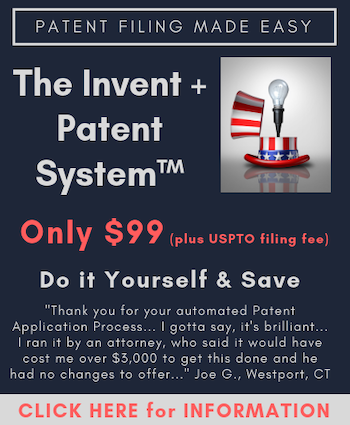 There is a tremendous wealth of information in the USPTO’s patent application information and retrieval system. New statistical measures of patent examination efficiency, such as the allowance to rejection ratio, can now be readily calculated and tracked over time. Practitioners that take advantage of this data will be in a better position to serve their clients effectively. Patent office personnel that take advantage of this data will be better able to serve the public. How do you tell when the statistician is lying? An interesting analysis. It would be interesting as well to compare the reasons for rejection across the different technologies. Do insurance and finance methods for example see non-statutory material rejections that electrical connectors don’t? Are there some technologies where the prior art just isn’t as easily searchable leading to patentees relying on the examiners to do their patentability searches, leading to lots of 102 and 103 rejections? Are some fields more frequently entered by unsophisticated applicants who have a great idea but no idea how to write a patent and are facing lack of enablement or lack of description rejections? It would be interesting as well to compare the reasons for rejection across the different technologies. Yes, that would be a great follow up study. Whoa there, crazy confidence interval. Only 300 applications were used for all those charts? That’s surely not enough to support your conclusions, especially when you divide it even thinner by class. That the 300 apps were filed over a 10+ year period, it probably says nothing about the current state of play. Am I missing a number? Only 300 applications were used for all those charts? No, 300 applications were used just to calculate the single overall allowance to rejection ratio of 0.3. Independent samples were used for each bar in each graph. We used larger sample sizes for the smaller allowance ratios to double check and make sure we weren’t seeing an artifact. “Nothing” is a bit strong. We did look at allowance ratios versus filing date and didn’t see much of an effect. This has the somewhat disturbing implication that practitioners and examiners are not getting any better at understanding each other as prosecution progresses. I think the implication is that at least one of the practitioner and the examiner is not getting any better at understanding the other as prosecution progresses. This is why we have the PAB. Your assumption of $2000 per response may be unfair to law firms B and C. If responses filed by law firm A were typically more expensive, the analysis may just show that “you get what you pay for.” It would be interesting to know if the prosecution strategies differed – did law firm A present narrower claims from the start? conduct patent office interviews? present rule 132 declarations? Were different examiners involved? On a case by case basis, you make a good point. It would be interesting to know if the prosecution strategies differed. Agreed. That’s where the real payoff is.